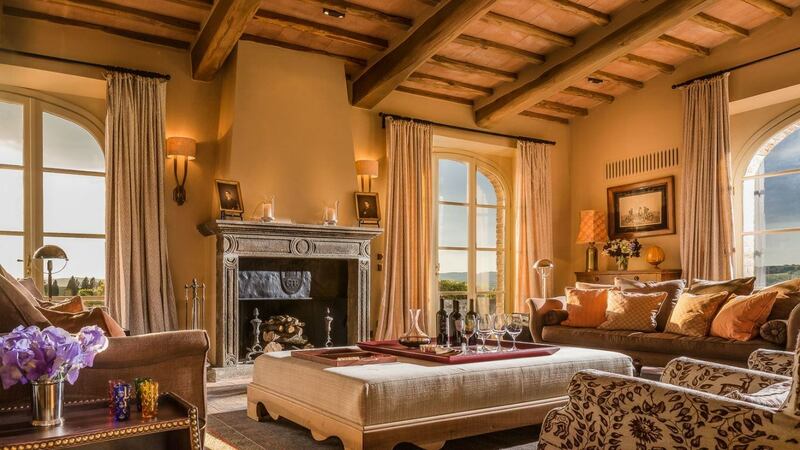 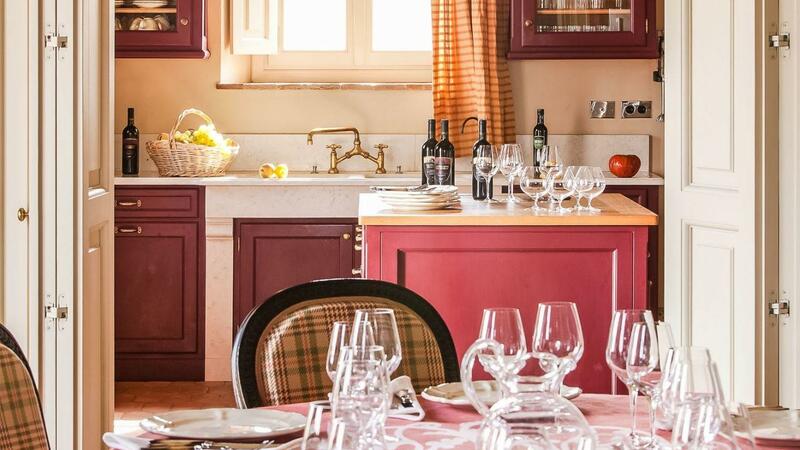 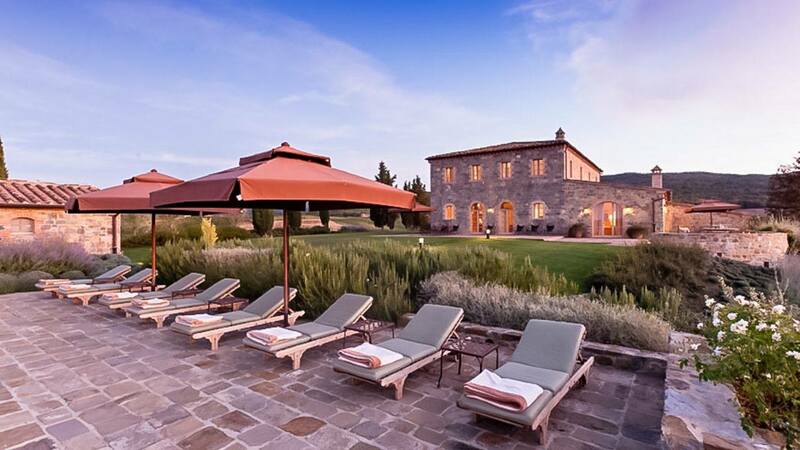 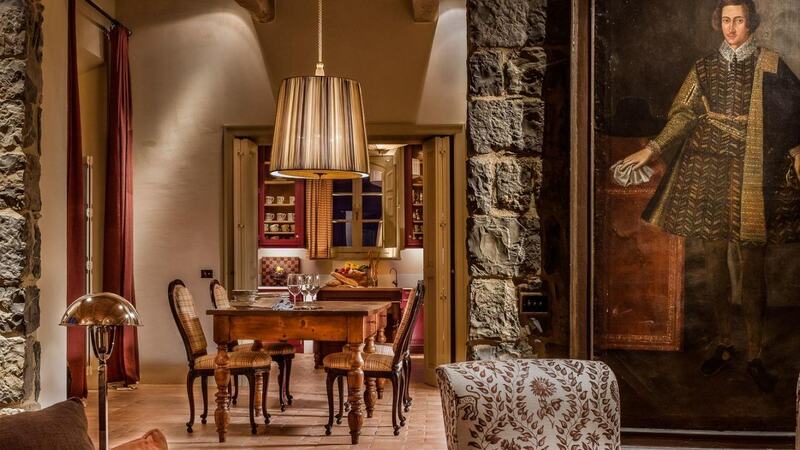 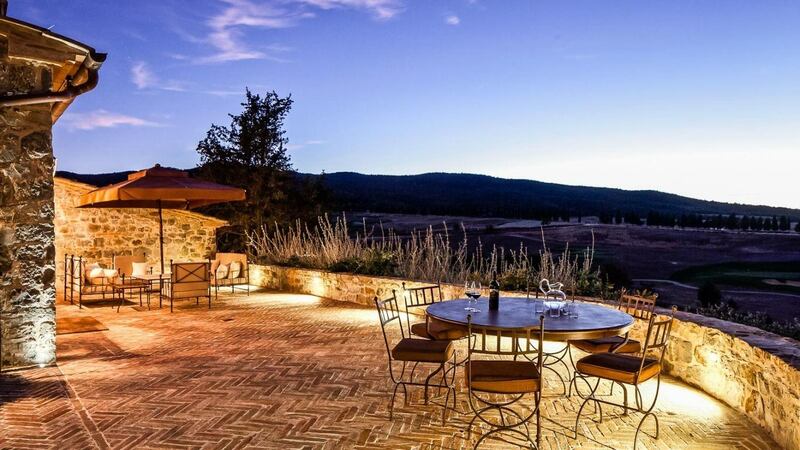 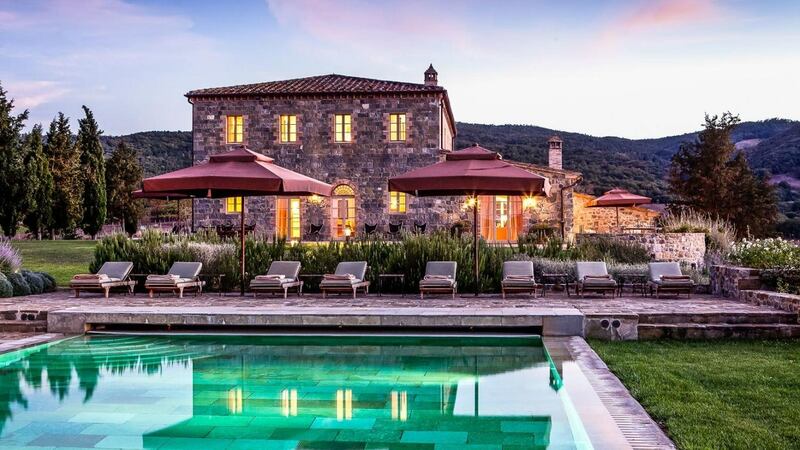 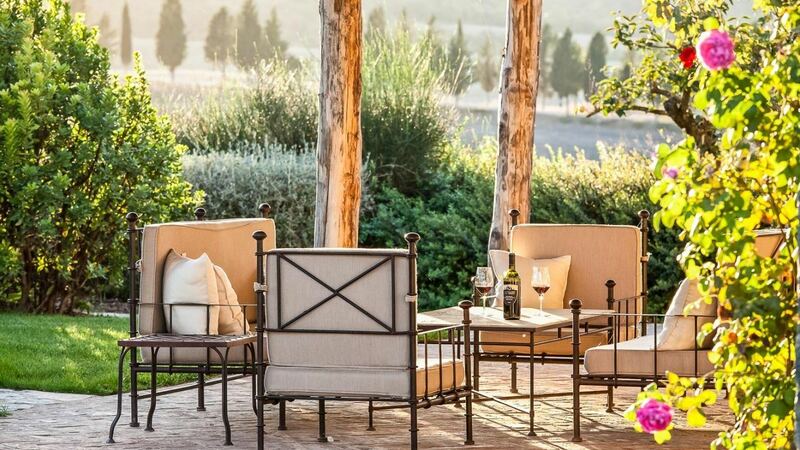 Villa Isabella is located on the Rosewood Castiglion del Bosco estate. 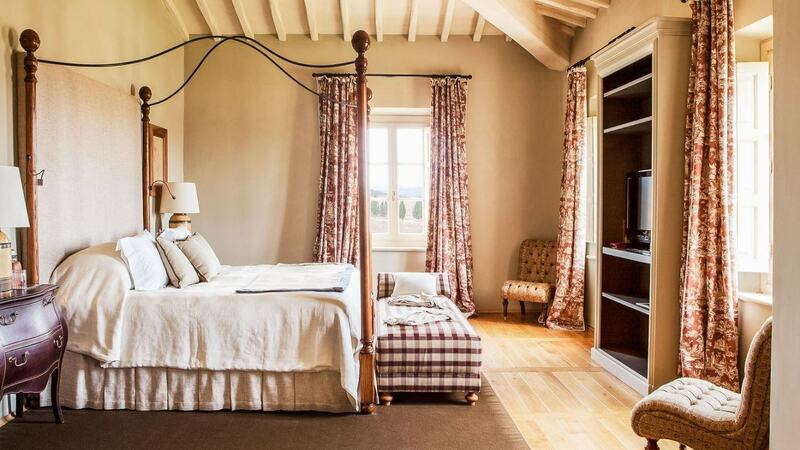 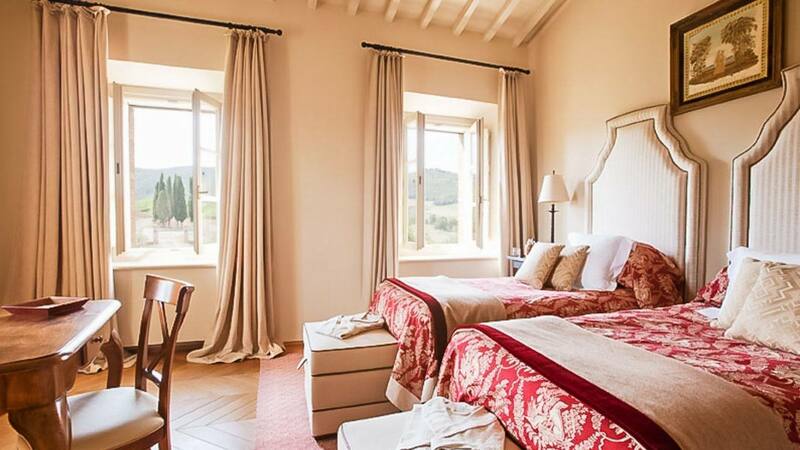 The panoramic views from this restored farmhouse encompass the best of Tuscany’s Val d’Orcia region, from rolling hills and vineyards to a golf course. 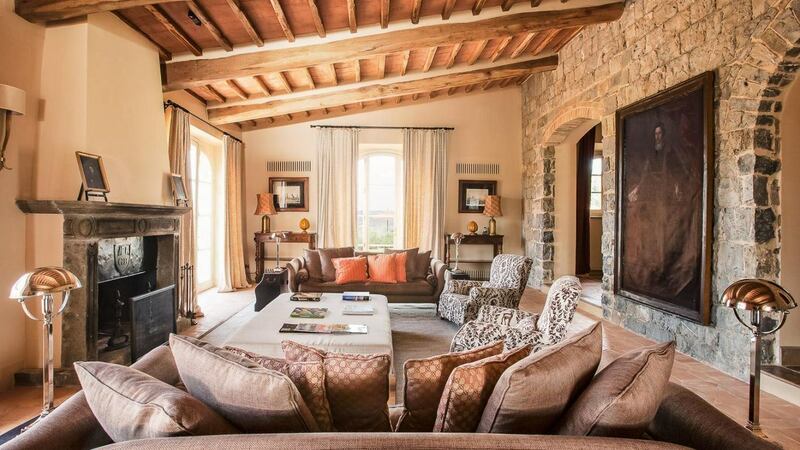 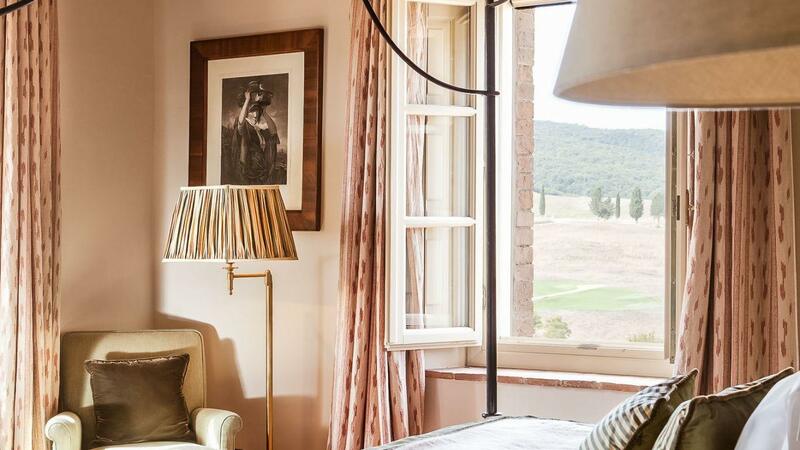 Inside villa Isabella’s rustic stone walls, you’ll find all the hallmarks of Tuscan country design, from beamed ceilings and terracotta floors to a large fireplace in the living room. 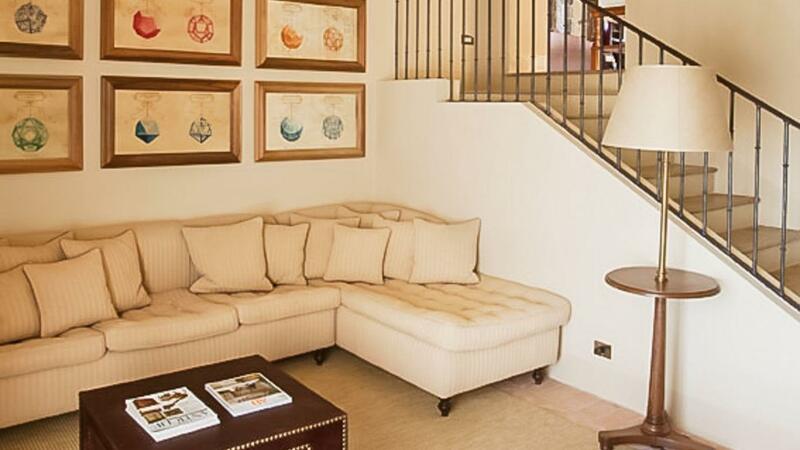 Furnishings are comfortable and casual, with plenty of sofas, armchairs and even an upholstered coffee table inviting you to relax. 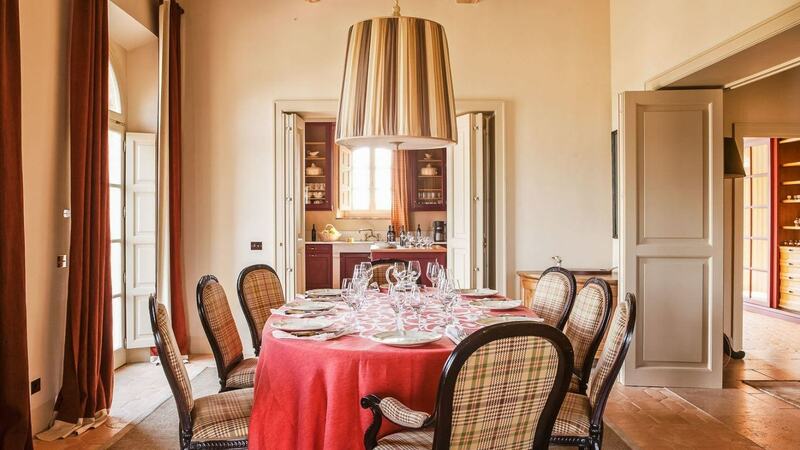 Large French doors flood the dining room with light, and plaid upholstery on the dining chairs is a playful touch. 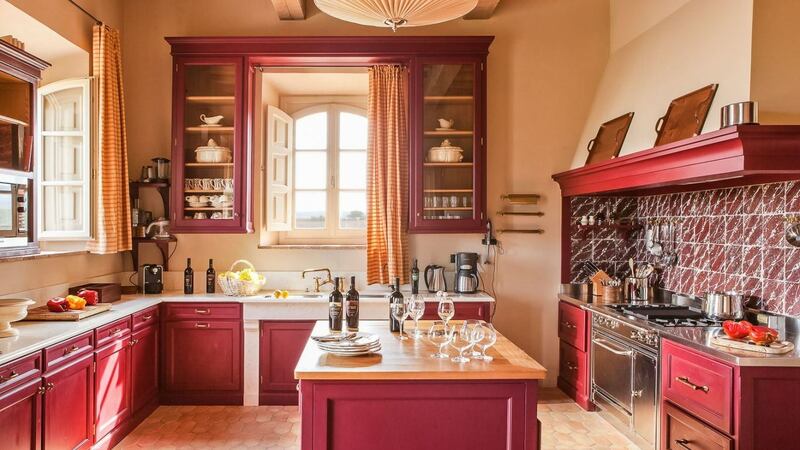 In the fully equipped modern kitchen. 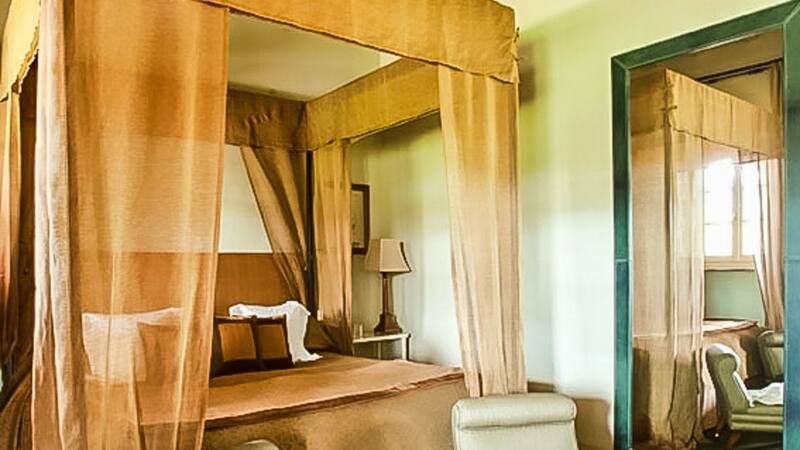 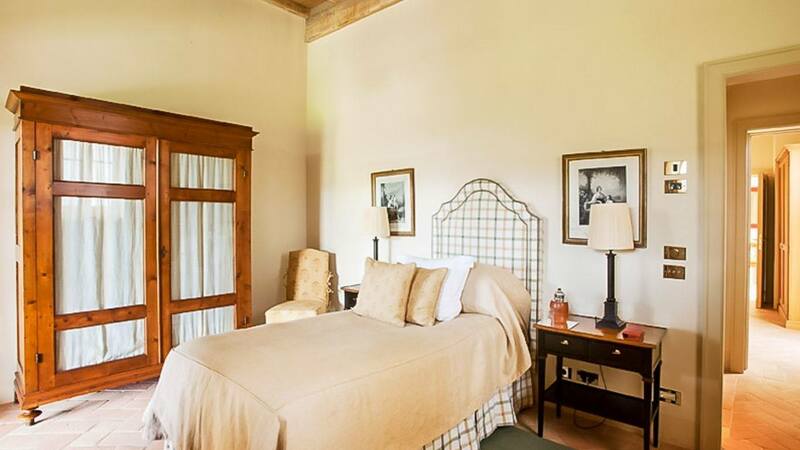 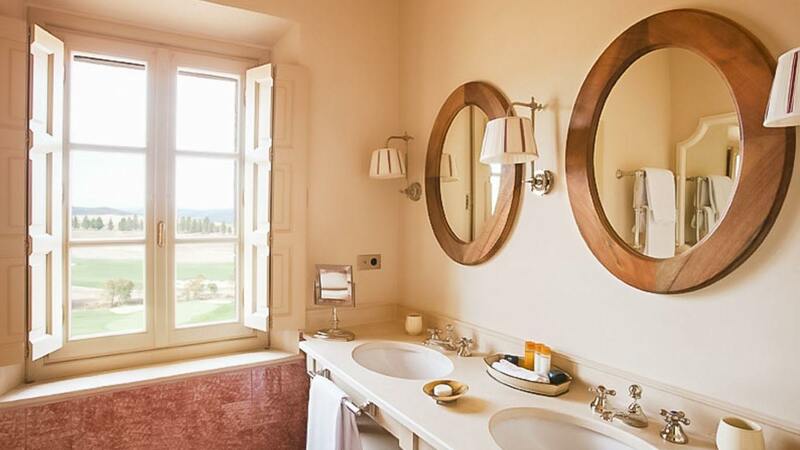 Each of the five bedrooms at Villa Sant’Anna has an en-suite bathroom and flat-screen TV. 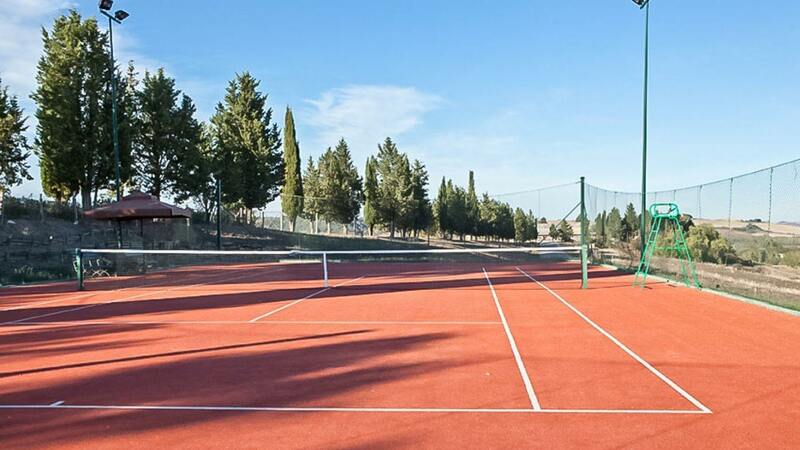 Outdoor spaces feature a heated pool, pool house with living room and kitchenette, a private tennis court, dining and lounge areas and even a pizza oven. 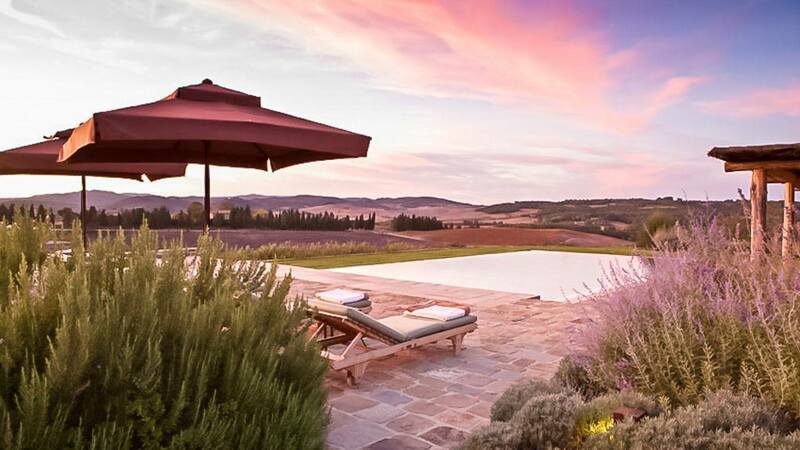 Montalcino is a hill town and comune in Tuscany, Italy. 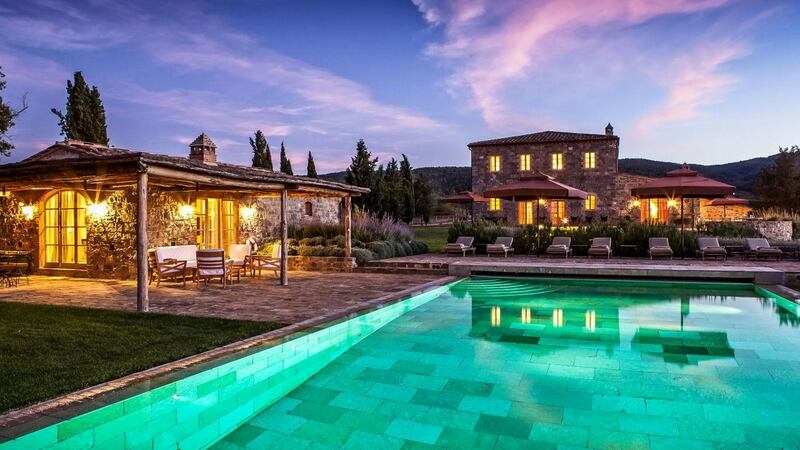 It is famous for its Brunello di Montalcino wine. 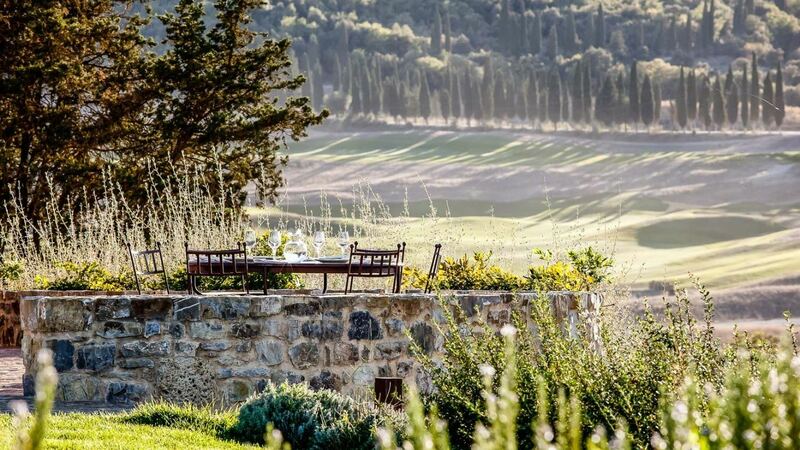 The town is located to the west of Pienza, close to the Crete Senesi in Val d'Orcia.